Summer gardening season is in full swing. It’s time for fresh corn on the cob, cucumbers, tomatoes, and of course the ubiquitous zucchini squash to be on our supper tables. You’ve heard the old joke appropriate for this time of year – if people in town start locking their car doors, it’s because they don’t want anybody else to leave zucchinis behind. Now that gardens around our community have recovered from the worm infestation in June, there is much fresh produce being enjoyed. One of the vegetables that we have in abundance in our own garden this year is swiss chard. It can be substituted for spinach in most recipes, but it’s easier to grow and doesn’t bolt, even in hot weather, so we’ll definitely plant it again next year. One of the varieties we planted this year was rainbow chard, which grows in the great colours, including red and yellow. The extra colour adds a decorative touch to salads and casseroles. If you are looking for recipes to use up your garden abundance, here are a few that we tried out last night at a spontaneous chard-fest potluck meal at our place. Fellow local foodies brought along some samples of their garden produce, and the result was delicious. The menu included zucchini and goat cheese appetizers, sauteed onions and swiss chard in white wine, crustless swiss chard quiche, green salad with nasturtiums, freshly canned mustard beans, and fresh bread. For dessert we had chocolate zucchini loaf, lemon tarts with wild blueberry sauce, and coconut cupcakes. Yummm. Here are some pictures of the gardens that contributed to last night’s supper, and a few of the recipes. I hope you are enjoying your summer garden cuisine with good friends, too. Mark’s greenhouse, just completed in June. Slice along the length of the zucchinis, cutting pieces 1/4-inch thick. Layer them on a greased baking sheet, season with sea salt, and drizzle with olive oil. Bake at 400 degrees Fahrenheit for 15 minutes or until the zucchini is elastic, able to bend freely without falling apart. You could alternatively grill the pieces, cooking for 2-3 minutes on each side. While the zucchini is cooking, in a small bowl combine the goat cheese basil, and sun dried tomatoes. Mix until evenly combined. When the zucchini has finished cooking, place 1-2 teaspoons of the goat cheese mixture on the end of each piece. Roll the zucchini unto itself, starting with the goat cheese side. Serve with a garnish of fresh or dried basil, mint, or oregano. Enjoy! I would add that you will need to allow the zucchini to cool for 5 or more minutes, before you can add the goat cheese and roll it up. And my daughter Emma suggested that next time we could scoop out the seeds and mix some goat cheese and cottage cheese (or ricotta cheese) together, along with the fresh basil and sundried tomatoes, and place that in the hollowed out centre and grill them. It was slightly fussy to prepare the “sliders”. But they were very very tasty. Preheat oven to 375 degrees. 2 Wash and dry swiss chard. Cut off the very ends of the stems. Roughly chop (leaving stems intact) the chard. 3 Add onion and Chard to the oil and saute until stems are tender (do not overcook). Add salt & pepper to taste. 4 Meanwhile, grate 2.5 cups of cheese. Use whatever varieties you want/have. Be creative! I used Swiss, Cheddar, Parmesan, and Cojito. 5 Wisk eggs. Add milk and cheese. Fold in the onion/chard mixture. Add salt & pepper to taste, if necessary. 6 Pour into a pie dish that has been sprayed with nonstick cooking spray. 7 Bake for 35-45 minutes or until golden brown and no liquid seeps when you poke it with a knife. This recipe was fast and simple, and also very tasty. You could throw in extra herbs, like parsley and basil, and cook it in a frying pan if you wanted a frittata instead of a quiche. One of my favourite quotes on hope is from Professor David Orr , “Hope is a verb with its sleeves rolled up.” Do you have your sleeves rolled up? Transition Network: Supporting community-led responses to the challenges of climate change shrinking supplies of cheap energy while building resilience and happiness. Post-carbon Institute: Leading the transition to a more resilient, equitable, and sustainable world. 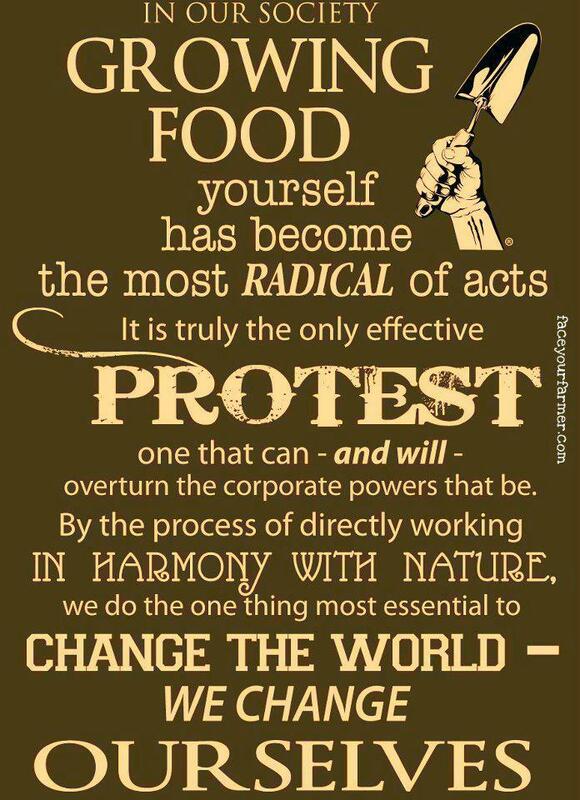 One of the problems in our industrialized, heavily urbanized North American society is the huge disconnect between our food system, and the cycle of life and death that nearly every other generation of humans in the history of our planet has known intimately. As I sit here at my computer this morning I’m reminded quite vividly (and pungently) about how close I am to (some) of my food, as well as the circle of life. First thing this morning I watered my hugel kultur raised beds with the liquid fish compost that my husband Mark has been cooking up for a few weeks in a plastic garbage bucket in the garage. Phew – what a stench! I can’t seem to quite get the smell off my hands, despite scrubbing hard with soap and orange hand scrubber. I had to change, too, because the hem of my pants got a little damp while I was watering and the smell was overwhelming. I’m having flashbacks to my childhood on a prairie farm every time I get a whiff. 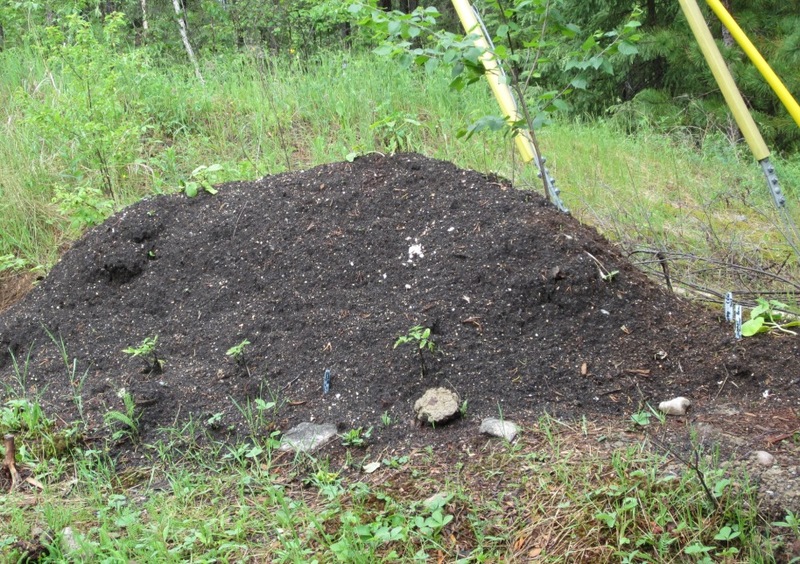 Here in our corner of northern Ontario we have more access to decomposing fish parts than to livestock manure, so it makes sense to augment the fertility of our garden with a local source of rich organic material. We’ll have to see what our neighbours say, though – be thankful you are reading this in the comfort of your own fish-fertilizer-free home. According to a new report by two genetic engineers, genetically engineered foods are not safe, have not been properly tested and pose a serious threat to human health and the environment. “GM crops are promoted on the basis of ambitious claims – that they are safe to eat, environmentally beneficial, increase yields, reduce reliance on pesticides and can help solve world hunger,” said co-author Dr. Michael Antoniou of the King’s College School of Medicine in London, U.K.
Click here to read full article in the Toronto Sun, or read Marion Nestle’s review of GMO Myths and Truths on Alternet. *Update: At lunch, my husband suggested I remove the hat I wore in the garden this morning. Which seemed a little random, as it hadn’t been anywhere near the watering can. But I did take it off, and realized it was quite pungent. Apparently anything within 5 feet of an open fish fertilizer bucket will stink to high heaven for quite a while after exposure! It’s time for a tour of my garden, as promised. I should preface this by saying there’s a reason that I’m attracted to the randomness/wildness of the “hugel kultur” raised bed garden. 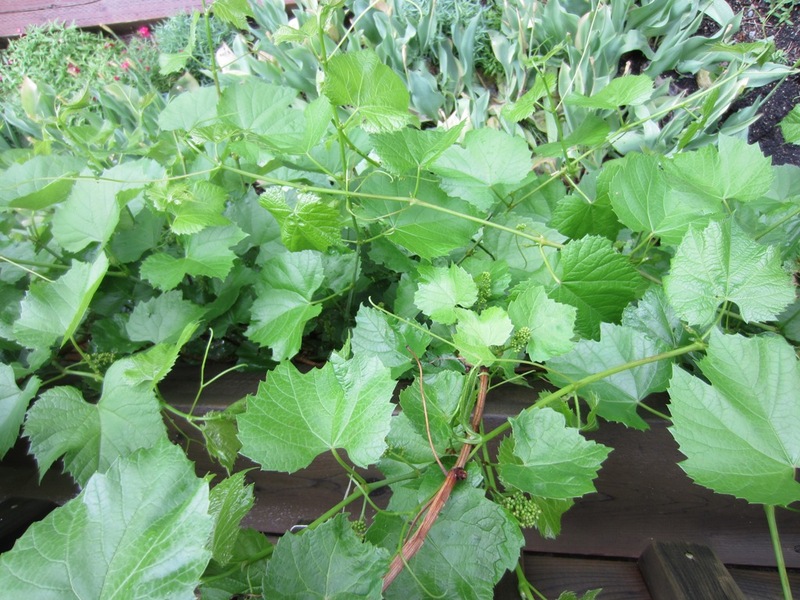 (“Hugel” means hill in German – thanks Mom Polle – so saying hugel kultur – pronounced “hoogel kultoor“- raised bed is redundant; but it is kind of fun.) As you will be able to tell by the pictures, my HK piles are not very lovely – I’ll leave the aesthetics to my husband who likes symmetry and orderliness in his well-tended garden beds. My good friend Suzanne, a sister Citizens Climate Lobby volunteer and avid local foodie, introduced me to the idea of hugel kultur piles early in the gardening season. 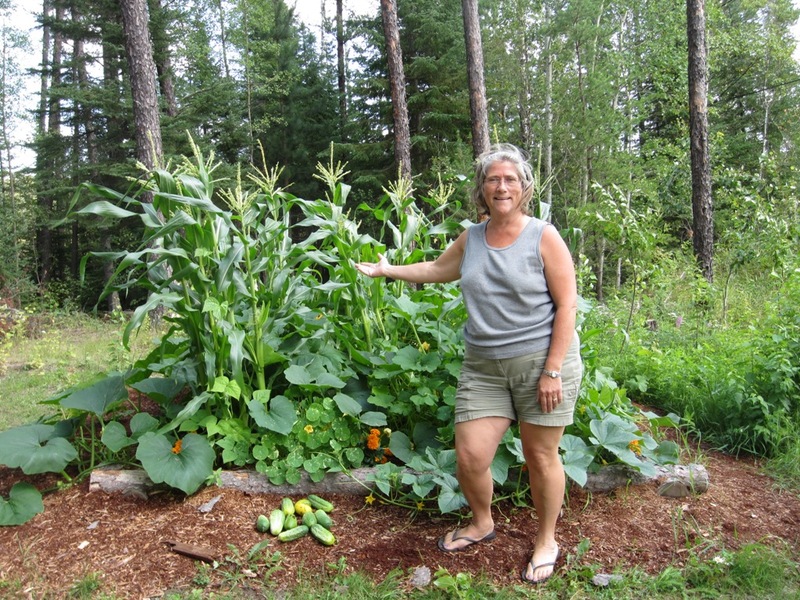 This spring, Suzanne made an in-ground hugel kultur pile where she planted a “Three Sisters” garden, based on the traditional indigenous way of gardening, planting corn, beans, and squash together. This inspired me to get to work on my own hugel kultur raised bed, which grew into two (with two more in development for next year), as I discussed a few weeks ago. Hugel kultur raised beds, for those who missed my earlier posts, are made by piling logs and branches together and covering them with soil, to make a garden bed that needs little watering (because wood absorbs water as it decomposes) and also improves as it ages, as the decomposing tree matter adds nutrients. 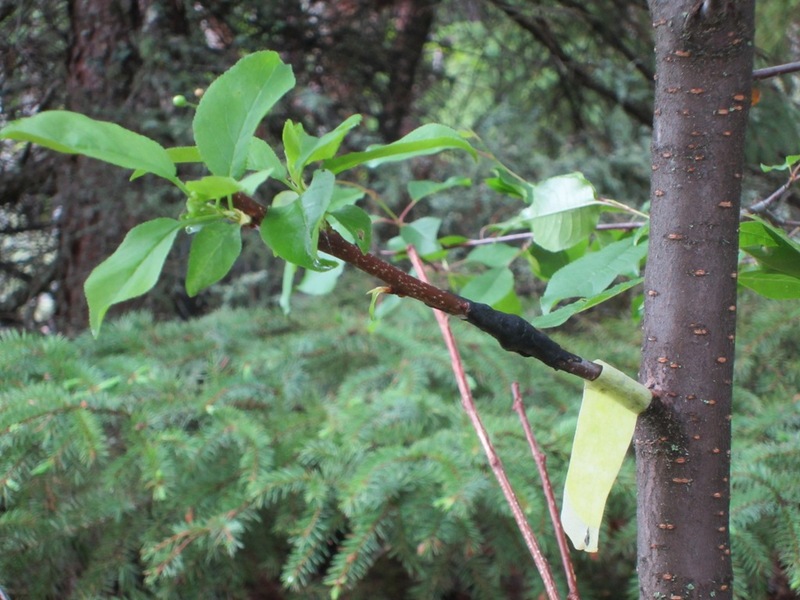 In our part of the world, it also saves money because here in the Canadian Shield we have lots of trees, rocks and lakes, but little rich garden soil. And speaking of rocks, hugel kultur piles can be built up right on top of rock, which is clearly a benefit in northern Ontario (see Wendell Ferguson’s “Tree and Rocks” song below). Here are some pictures of my hugel kultur beds. I transplanted several squash seedlings a few weeks ago (thanks Donna! ), and most of them survived. A week ago, I planted corn and scarlet runner bean seeds in pile #1, which gets much more full sun than pile #2. 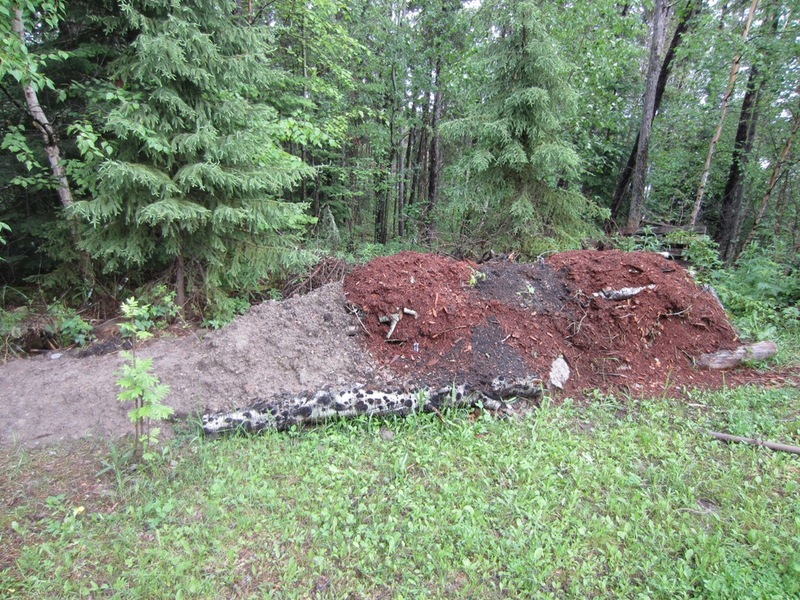 The second pile was an after thought, and after all the work of piling the trees and branches for both of the piles, as well as covering each of them with well composted wood shavings (obtained from a local logging company for free), I wasn’t going to go to the trouble and expense of the last step, covering the second pile with soil. But in the end, I couldn’t resist completely. Rather than covering the entire pile with soil, I did some “skin grafts” onto strategic places. The result isn’t beautiful, as I said earlier, but it is surprisingly good at growing things. I planted cucumber seeds there last Monday, and they started coming up this weekend. I also transplanted an extra tomato seedling and a squash seedling, and they seem to be doing alright. Now that you’ve had a tour of our Canadian Shield garden, here’s Canadian singer/songwriter Wendell Ferguson singing about his visits to northern Ontario (“…rocks and trees, trees and rocks, by the time you hit Kenora, you don’t wanna see any more of, rocks and trees, trees and rocks…”). Our peonies, one of my favourite spring flowers, have just opened up. The peonies in our garden are a connection to one of my grandmothers, my father’s mother. 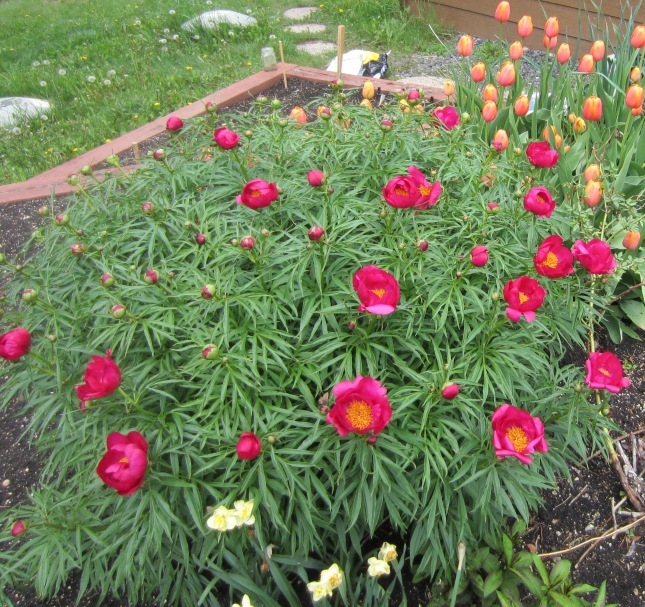 She had a border of peonies at the front of her lawn that bloomed in a riot of crimson every spring. When she passed on, and the house was sold, my aunt saved some of the bushes for her own garden. Years later, my father planted a root from those same peonies in his garden, and even more years later shared the stock with us. My grandma was a hard-working prairie farm wife whose family benefited from the large vegetable garden she tended right up until the last year of her life. My dad inherited her green thumb, but I did not (although luckily I married someone who had the gardening gene passed down from his grandfather and his mother). 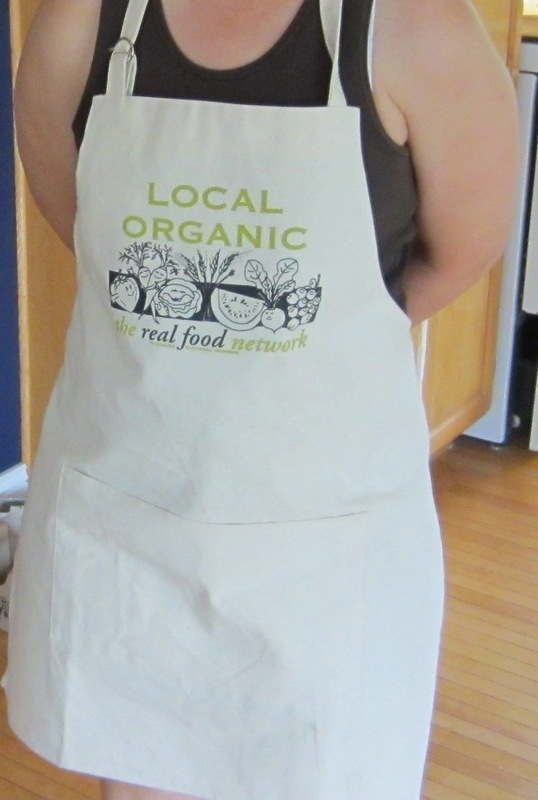 Now that I am turning my attention to preserving much of the food our family eats, and more actively supporting my husband as he grows that food, I feel a connection to those women down through the ages who, out of necessity, have grown and preserved food so that their families will be fed throughout the year. Although I don’t have access my grandmother’s skill and wisdom, and didn’t appreciate it when she was still around, I feel sure she would be pleased. Another Monday and my hugelkultur piles aren’t done; in fact they are growing daily; I didn’t realize they were like rabbits, and would start reproducing at a crazy rate! As any of you gardeners out there know, when it’s time to get the garden ready, there’s no rest until it’s done. Here in northern Ontario our season starts much later than many other parts of North America, but we are blessed (usually) with long hot summer days that make a garden harvest feasible. It’s not only our garden plots that we are getting ready. 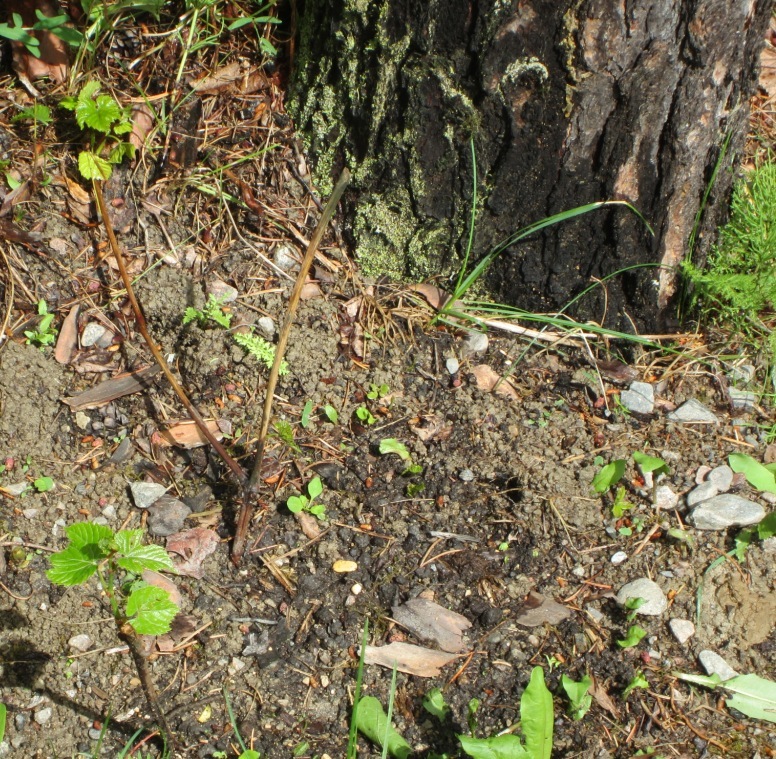 In our family all of us, my southern B.C.-born and bred husband Mark in particular, love harvesting our own fruit, so this year we ordered 10 new fruit trees/bushes and 24 raspberry canes to add to the dozen cherry, plum, and apple trees already established in our yard. And all that tree planting takes a lot of hard labour, especially on our rocky Canadian Shield acreage. 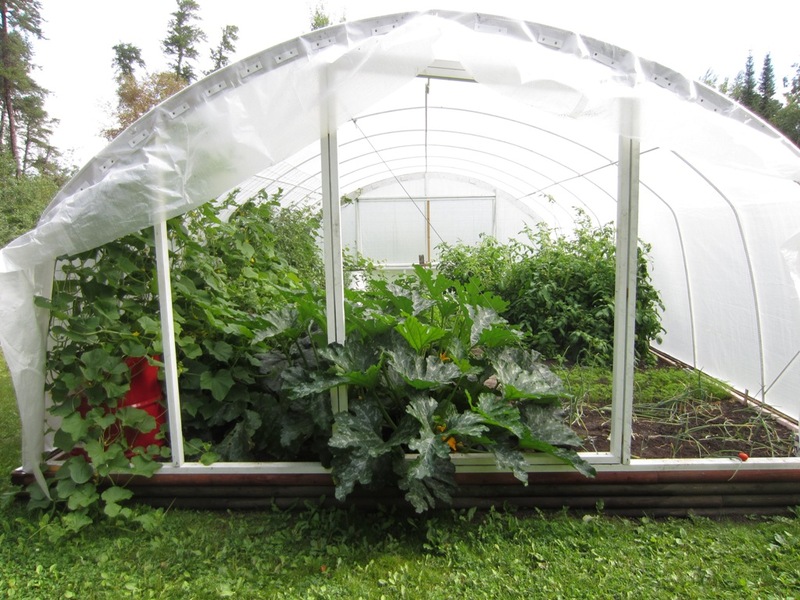 And on top of all this, Mark is also constructing a new greenhouse; and like most of his construction projects (he has the mind of an engineer trapped in an M.D.’s body) there’s nothing straightforward about the greenhouse; but that’s a topic for another post. With all of the shoveling, digging, and “hugelkulturing” it’s difficult to make time to keep up with what’s going on in the outside world; but to those who are aware that our civilization is on the cusp of a “great disruption” it’s clear even from my sporadic access to national and world news that upheavals are flaring up more and more often, as are the attempts by the current power structures to crush this dissent/democratic movement. Close to home, a draconian anti-protest bill was passed in the Quebec legislature on Friday, in a move to quell student protests that have increasingly paralyzed the province. The students were galvanized onto the streets when the provincial government moved to dramatically increase post-secondary tuition rates, which are the lowest in Canada, but the spreading protests are about much more than that. The students and their supporters are out in the streets demanding nothing less than a more equitable society that values citizens more than corporations. The question is, why aren’t all Canadians out in the streets demanding more from our governments? That was asked this past Saturday in nothing less than the staid, middle-of-the-road Globe and Mail newspaper, whose editorial board supported Stephen Harper in last May’s federal election. Click here to read Forget Tuition Fees: If Anything Calls For A Riot, It’s Harper’s Stealth Governance. It’s a gorgeous sunny May day, and I’m busy building my “hugelkultur” raised garden bed at the edge of the coniferous forest which covers some of our one and a quarter acres of Canadian Shield land. 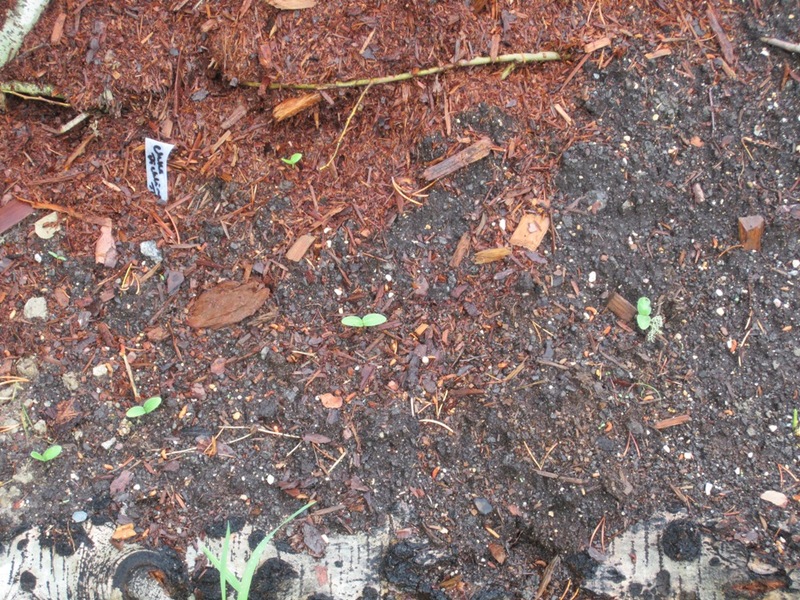 A hugelkultur bed is a raised garden bed filled with rotten wood. Anyway, one of the things that is being sacrificed in order to finish this project as soon as possible is my computer time. So have a wonderful Monday, wherever you are, and check out this video, and the links below, if you’re interested in learning more about what I’m doing. I should point out that the trees I’m using are nowhere near the size of the ones in the video. Pictures of my own project will be posted when I get the chance.